I have a tenancy to wear the exact same outfits over and over and reach for the same accessories (same scarf and same everyday jewelry that never comes off). 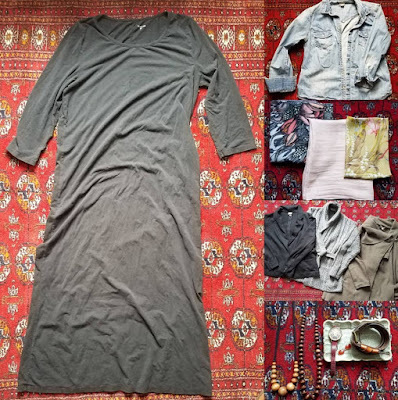 Recently, I have been inspired by an ad that @wool.and posted and a video I watched on YouTube by Susan Over 60 that shows a person wearing the same clothing (a dress or top and trousers, but it could be any base layer) and accessorizing it differently over the course of a week or so. Since I don't have a wool& dress (I hope that will change soon as they plan offer one with a longer length! ), I decided to experiment with a dress I already have in my closet. It's black jersey and maxi length. 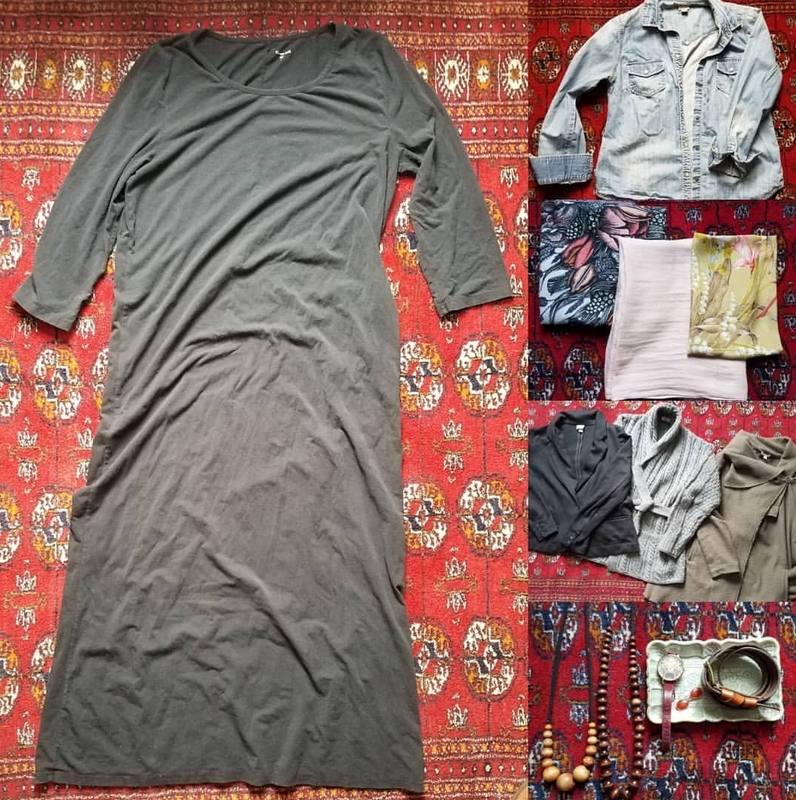 I've chosen several different pieces (sweaters and a denim shirt to wear over the dress, as well as approximately eight different accessories I already have on my closet. I'll mix and match everything to create seven different outfits that I'll wear from April 6 to April 12. I'll be sure to share each day's outfit here and then hopefully have a compilation video up on YouTube when the experiment is all over! Anyone want to join in with me?